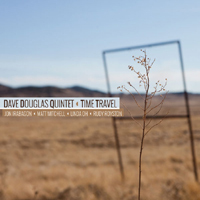 A leading trumpeter and composer, Dave Douglas has never been content staying in one location for too long. 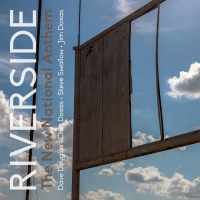 Within his already diverse discography, he's produced imaginative music with numerous ensembles that include the intrepidly free Tiny Bell Trio; an acoustic-electric sextet Keystone; vivid reflections of Americana with his Riverside band. This time, he ventures once again into the realm of jazz and electronic music with the organic High Risk. 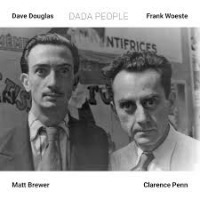 Douglas presents a new quartet of likeminded individualists who are familiar and comfortable with both genres. First, there's the energetic drums of Mark Guiliana who elevates saxophonist Donny McCaslin's 2015 Fast Future also on Greenleaf. Next, one of the founding members of Groove Collective, Jonathan Maron holds down the center artfully on bass and synth bass while electronic musician/ guru Zachary "Shigeto" Saginaw spreads an eclectic canopy of sound design and textures with technical expertise. In contrast to the sweltering tempos in 2003's Freak In (Bluebird) the program here can boogie and funk yet is less dance influenced and at times might be labeled as "experimental chill music." 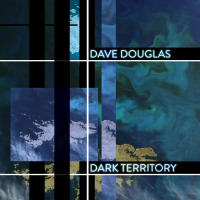 Voluminous soundscapes and swelling patterns like oceanic waves find Douglas's blustery and sensitive horn flowing within the band's shifting and sonically rich program of beats, noises, thoughtful music, and creative embellishments. It's reminiscent of the vast openness found in contemporary jazz/electronic trumpet-centric releases such as Nicholas Payton's Sonic Trance (Warner Bros., 2003); Erik Truffaz/Murcof's Being Human Being (Mundo Recordings, 2014); and the fascinating Portuguese-based trio Lama co-lead by Susana Santos Silva. 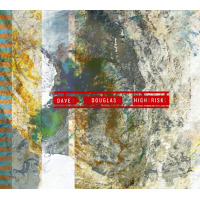 Douglas brings his own thoughts and processes to the individualistic art form. Is it jazz, groove, trance, electronic, or....? It makes no clear distinction and doesn't matter in a program that's easy to immerse yourself in if you have an open mind. Track Listing: Molten Sunset; House hold Item; Etiquette; First Things First; High Risk; Tied Together; Cardinals. 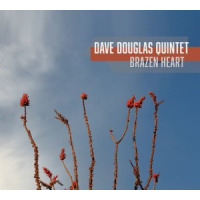 Personnel: Dave Douglas: trumpet; Mark Guiliana: acoustic and electric drums; Jonathan Maron: electic bass, synth bass; Shigeto: electronics.